I attended my fourth writer’s conference. Although they are similar in format, this one always stands out in friendliness and inclusivity. A positive energy source emanates throughout the Colorado Spring’s Marriott. It must be built upon a special kind of bedrock. Agents, editors, and best-selling authors are willing to have conversations with people like me; the super fans of the conference. If you write fiction: Your blog, social media presence, and overall author’s platform are meaningless to traditional publishers. The agents suggested focusing on writing books instead. After you’re published, they are grateful if you already have a blog since they’ll want to link you up. If you write non-fiction: The polar opposite is true. You better have a successful blog with lots of social media followers as part of your author’s platform. You should be booked for public speaking engagements, interviewed on podcasts and in YouTube videos. Publishers look at anything and everything you’ve done to build your presence, following, credibility, and to show you’re a respected expert in your field. Sign up for critique sessions. It can be unnerving, but the input is invaluable especially if an agent you would like to pitch is giving the critique. They are the experts who you are trying to impress. Attend the agent panel. This is a top priority for me at every conference. They talk about their pet peeves, what’s new in publishing, etiquette, and include their individual stories. You get the most up-to-date info. Every one of them chose their career because they love to read books. Some of the agents throw you into the slush pile if you wait too long after a request while others prefer polished manuscripts up to a year afterward. If you are writing a series, polish the first book and outline the rest. Spend your time on another book so they have something else to pitch if your first doesn’t sell. Some publishers recognize the advantage to e-booking and becoming a hybrid author, since there may be a built-in following. Don’t be afraid to pitch at the bar or during a meal. I sat next to a lady who was horrified to hear I was pitching to agents outside my one appointment. I actually think she sniffed at me. At this conference, it is totally acceptable behavior. In fact, one agent was so sweet, she asked everyone to pitch their book during lunch and requested pages from every writer. She was cool like that. How I pitch. I research all agents and editors before attending the conference and pick out a couple who may be interested in my genre. I don’t waste anyone else’s time. Then I practice my logline – One or two short sentences describing your book. I’ve usually had a few conversations with the agent by the time I casually ask, “Would you be interested in hearing my logline?” I like to get a feel for the person I may be working with. Also, I’m not as nervous if I’ve talked to them before the big moment. This year went really well, but last year, I had a deer in the headlights experience. I knew I wasn’t engaging the agent. I don’t think she blinked while I recited my logline and elevator pitch. After what seemed like a thirty second silence, she said, “I don’t represent your genre.” My face heated to scorching. I thanked her with six and a half minutes to go in the session. Later that night, I approached her in the bar and we had a good laugh about it. If it happens again, I will ask, “What are you looking for? What’s happening in publishing? What are the trends?” I will definitely use every second of my one-on-one time in being educated. Andrew Gross taught me you can have a MBA and be employed in an unrelated field like sports apparel for years and still become a New York Times Best-Selling Author with your first published book. After losing his job, it took him three years to write a book and score an agent. Andrew’s manuscript sat on a publisher’s desk when it became apparent James Patterson needed someone to co-author who could write from a woman’s perspective. Andrew’s first book was written from a female POV (point-of-view), and the publisher was impressed. Patterson called Andrew and asked if he’d be interested in collaborating. Needless to say, his first published book made it to #1. WOW! He wrote five others with Patterson and has written several thrillers on his own. From Mary Kay Andrews a.k.a. Kathy Hogan Trocheck, I learned perseverance pays off. She worked for many years as a journalist, but had grown up writing and telling stories. After she came up with the idea to write a book, she secretly used her computer at work. It took a year of sneaking into the office at night, but she accomplished her goal. Many of her novels and mysteries have made the New York Times Best-Seller List. Her hard work has paid off very well! R.L. Stine taught me to be yourself, be willing to laugh and try something new. Bob edited for fifteen years at Scholastic and wrote joke books for a series called, Bananas. At first I thought, Joke books? It soon became evident that he’s a natural comedian. One day, it was suggested he write scary stories for kids since there were so few. Surprised by the idea, he said he would try. But first, he had to come up with a great title. That’s how he works. No title? No story. Before he started the famous series, he opened the TV Guide and read, “It’s Goosebumps week on Channel X.” And the series Goosebumps was born. He wrote another series called, “Fear Street,” where all kinds of monsters lurk. Ironically, the last keynote speaker, Seanan McGuire didn’t talk about her process. She didn’t mention her books. She said you don’t have to be nice, but you have to be kind to everyone at a conference. To many writers attending, her topic probably seemed unnecessary, I mean, this is a conference known for friendliness. But I straightened up and listened. Seanan said that during a conference some people are handed an ice cream cone while others are left salivating. Instead of retaliating or having an outburst, you don’t have to be happy for the person who scored the cone, but you have to be kind. It’s not that person’s fault you weren’t handed a sweet treat. Some people blame everyone else for their misfortune. There are many opportunities during the weekend to make connections and to learn about your craft. Instead of putting out negative energy, put positive energy into working harder to accomplish your goals. I had been handed the metaphorical ice cream cone, much to someone else’s frustration, one hour earlier. If they had realized how much time I had spent becoming acquainted with agents and editors over the weekend, they might have held their tongue, or not. Did it taint the positive experiences of my conference? No. I found the irony of the speech, amazing. I had never realized that to some, this is a competition. What have you learned from writer’s conferences? Have you been inspired by keynote speakers? 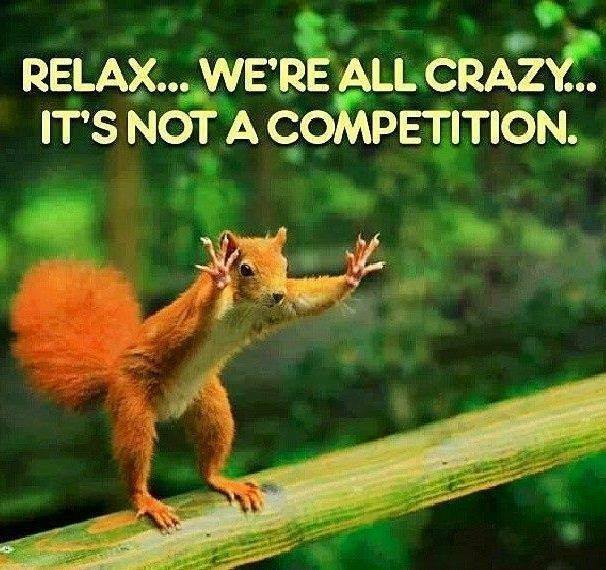 Have you ever seen a crazy squirrel? Tell Me. How In The Hell Did It Get There? I’ve never attending a blogging conference. I wonder if they are structured the same way. I would love to attend a WordPress or BlogHer convention. That would be a blast. I have been to a WordPress Camp and loved it, loved it 🙂 I also belong to the WordPress Meetup Groups too. I am hoping moving to Florida will give me more options in attending writing, blogging and technology conferences. I sure hope so, Karen! It’s been quite a process. I’m still at it, but am so close to the finish line. The conference was just what I needed to get the most up-to-date information. At least in their opinion! Thanks for swinging by! I missed your comment! I love going to conferences, but I haven’t been in a long time due to family commitments and financial restraints. How very very interesting that agents don’t consider platform is necessary for fiction authors before publication. I’d always heard the opposite. Love “nutty” squirrels! They make me laugh. I hadn’t been for a year, but I’m glad I went. There was so much great information, I bought the DVD! Nope. There’s a lot of bad information out there. If you’re self-publishing or writing non-fiction, a writer’s platform is imperative. I would guess that if I had a million followers it would be something they would be interested in. A squirrel in our oak tree is driving my dog nuts too!!! Thanks for leaving a comment! I missed it! So glad you had such a great time. What an awesome photo of you RL Stein! I love writers’ conferences. The mingling is my favorite part, along with being part of or seeing awesome presentations. 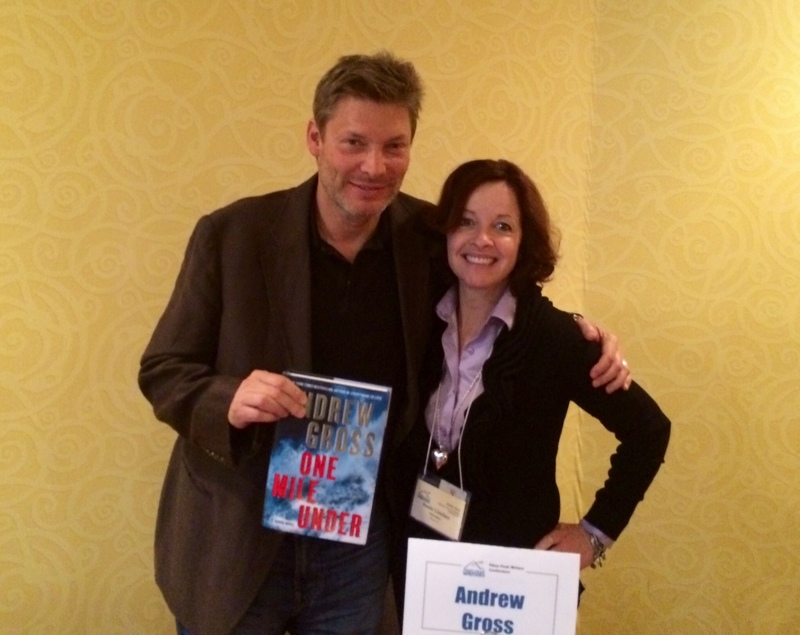 One of my favorite talks was at ThrillerFest a couple of years ago. Anne Rice’s son, Christopher, interviewed her. Incredible Q&A – funny and insightful. Hey August! Thanks for stopping by. I missed your comment. I find conferences to be very inspirational. I enjoy making connections too. 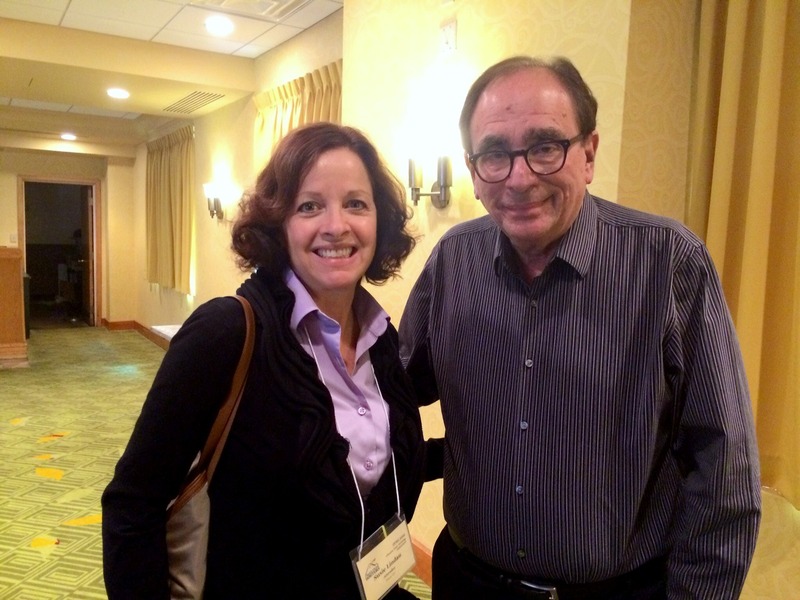 RL Stine was super friendly and funny. I hope you get to meet him someday! I bet the mother and son conversation was priceless! Thanks so much for sharing this. It is very timely for me as I’ll be heading off for my annual trek to the Sydney Writers’ Festival this week. The highlight this week for me will be hearing Dr Norman Doidge who wrote: “The Brain Which Changes Itself” and “The Brain’s Way of Healing”. As much as I am wanting to write my book and get it out there, I mainly go to the festival to meet writers who have inspired me and learn their tricks of trade and also just walk in their shoes for a bit. I usually attend workshops with these authors for a really low fee and it;’s been so helpful. Last year, I got put onto the hero’s journey and the ideas of Joseph Campbell, which I’d somehow managed to by-pass completely but have really given my story structure and purpose. Now, I just need to sit down and write it. I blog and have wondered whether it’s an aid or distraction to writing the book. I am intending to use the blog and my journals to write the book so I think it is helpful and the feedback from bloggers has shaped and refined my story. Being non-fiction, it’s good to read that the blog will have some cred. I took a bold leap today and emailed the Sydney Writers’ Festival requesting to meet Norman Doidge. Heaven help me if he accepts. I doubt, despite talking underwater, that I’ll be able to speak!! My most successful book only started to sell well after I launched a blog to support it. That book was historical fiction based on a real man who when to China in 1854 and the Blog is about China—everything to do with its culture, people and history, etc. I don’t write about my writing or my books, I write about China and the Chinese and that seems to draw in Blog readers who are interested in China. I don’t know how that can be duplicated for a murder mystery set in California.